Mill lies at approx. 29 km. south-west of Nijmegen and it is a small place with several nice excursion options in the environment. How about for example a number of beautiful bicycle and walking courses. In the friendly places Cuyk, Uden and of course Nijmegen, you can do some shopping. Furthermore there are several lakes in which you can nicely swim and even surfing. The very nice farm house is a real treat. It is of a good standard and furnished in style. Each room has for example a colour theme and you will find that in everything. Besides a lot of space in the house, you also have a beautiful, completely enclosed garden with terrace, garden furniture and a barbeque at your disposal. Your children will amuse themselves nicely here. 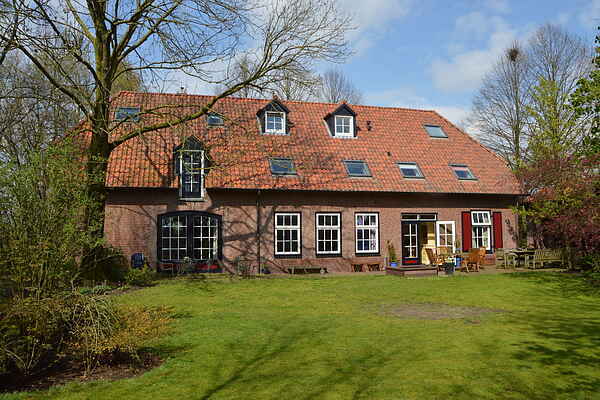 Specifics: The holiday house can be rented through larger groups together with the house with code NL-5451-05. In this accommodation, smoking is not allowed. The house will not be rented to groups of young people/students, the house is namely suited for together traveling families.